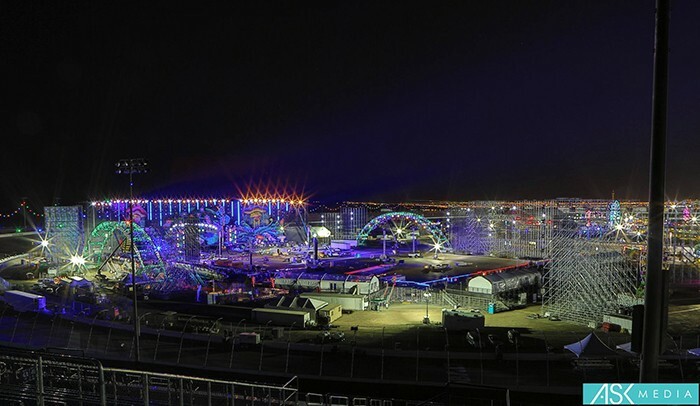 At the Electric Daisy Carnival, the probably biggest stage ever constructed in the USA was errected. It had a width of more than 130 metres and was equipped with over 2000 spots. 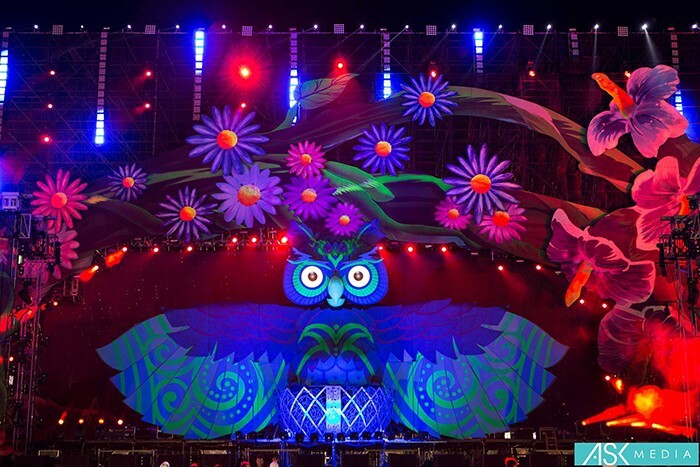 A large part of the amazing stage design was created by 430 Eurolite LED PMC-16 COB. It was an event of superlatives. For the main stage, which was considerably wider than a soccer field's length, such an enormous amount of scaffolding was used, that it would have been 80 kilometers long when lined up in a row. 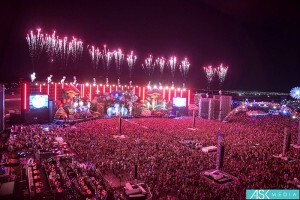 The 385,000 visitors were dazzled by 2 million watts – by comparison: Rock am Ring 2013 required – in relation to the EDC – a mere 500 000 watts. More than 2000 lighting effects were hung from the main stage. The Eurolite LED PMC-16 devices alone made up 20 percent of that number. They were installed as vertical rows and spread over the entire stage. It was certainly the most massive installation of this kind ever made with 4 x 4 clusters. 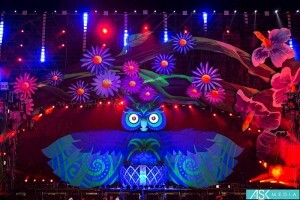 Responsible for the lighting design on the ‘Kinetic Field’ was Steve Lieberman. But also on the six additional stages, Eurolite devices were used including numerous 2 x 100 W COB Audience Blinders and Eurolite LED STP-10s supported the performing artists. 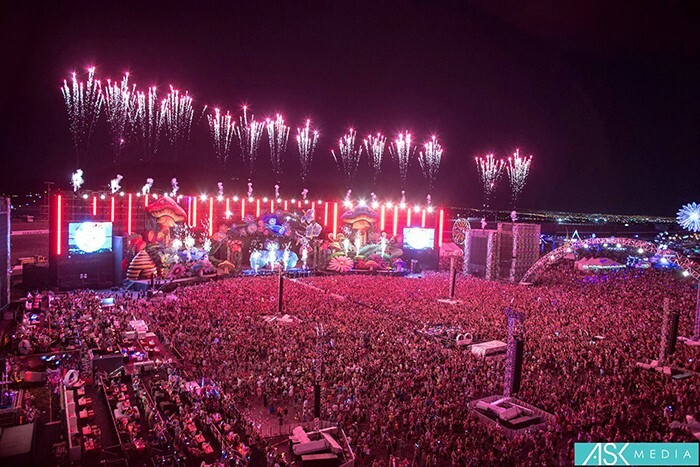 The EDC festival is one of the biggest events in the USA. In 2013, it took place for the third time in Las Vegas and attracted visitors from 46 countries. The line-up read like the who’s who of electronic music: 500 show acts from Avicii to Tiesto provided entertainment for the masses.